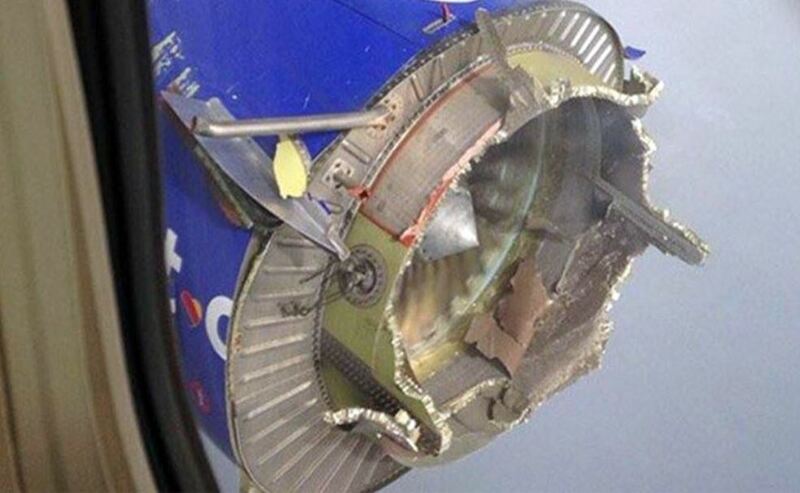 28 Aug 2016 - 737-700, N766SW (29806/537), FF 12/4/2000, operated by Southwest suffered an engine failure when a fan blade with signs of fatigue crack growth separated from the fan disc of engine #1. This caused the inlet cowl to detach from the engine. The cowl appears to have damaged the left side of the fuselage causing a loss of cabin pressure. The aircraft was passing FL310 in the climb about 80nm west of Pensacola whilst enroute from New Orleans to Orlando on 28 Aug 2016. 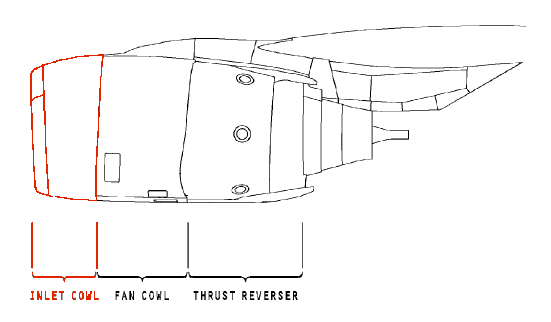 The inlet cowl is aerodynamically shaped to send air into the fan, it is also contains acoustic absorbtion material to reduce noise. It has a fan inlet temperature probe (T12) and two ram air scoops for engine anti ice and EEC cooling.